We share the new space with other two ICT companies, Oplà and Ennova Research, and we’re going to maintain the great relationship we built with the staff of the Acceleratore d’Impresa. 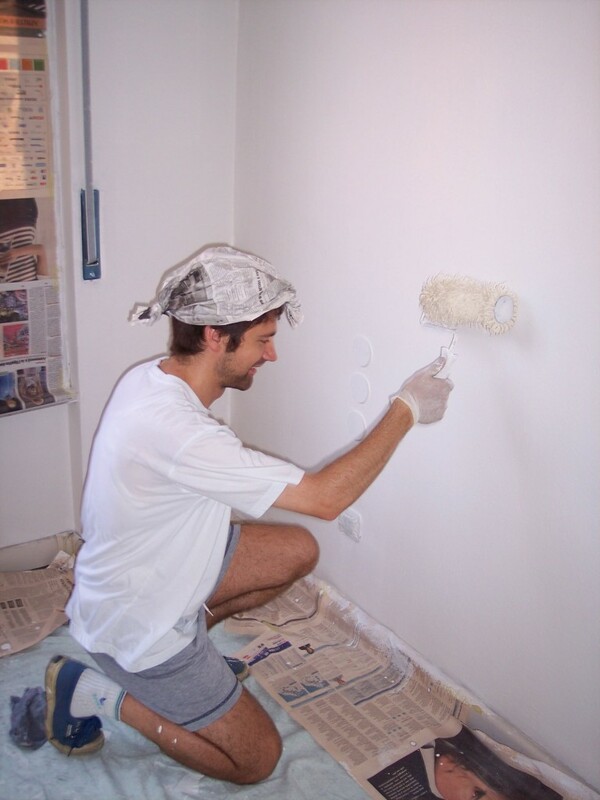 I’m happy because not only we enjoyed playing as house-painters (the picture is self-explanatory! ;)) and interior decorators, but mostly because in this way we can knock down a barrier that was limiting the internal communication of the team. Being able to see each other almost everyday, certainly will speed up the decisional process and we’ll be able to make more things together. This while we’re getting ready for an october really full of important events: Innovation Circus, SMAU and Lu.Be.C..
Togunà’s adventure continues from the new office! This entry was posted on October 5, 2008, 11:17 am and is filed under i-muse, Mobile, Software. You can follow any responses to this entry through RSS 2.0. You can leave a response, or trackback from your own site. buon lavoro e soprattutto salutatemi lucca….che spero di vedere a dicembre per la discussione!!!! Quest’anno invece a Lucca: te la saluteremo, promesso! Neanche come imbianchino mi assumi! Il prossimo passo sarà la nostra videoguida scaricabile, ok?